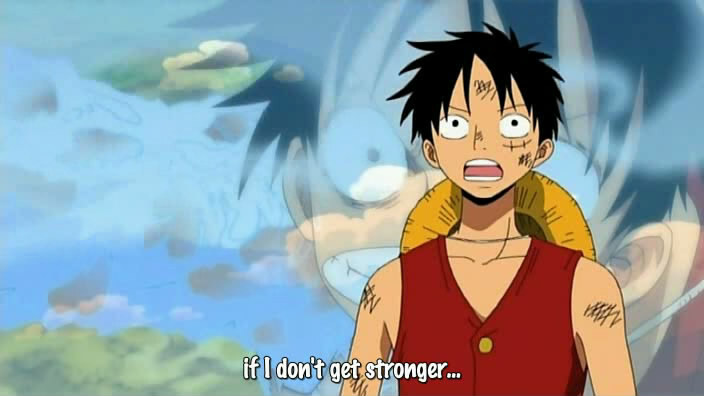 I have to admit – I liked Luffy’s speech on how he must be able to protect his nakama so that he does not lose them. Luffy first experienced complete and utter defeat at the hands of Ao Kiji. Thankfully, the Marine Admiral was not that interested in capturing them at that moment, and so they managed to escape. However, if he was serious, surely, the Strawhat Pirates would have been wiped-out. Then, he was also beaten by CP9. Luffy realized that he must be stronger to be able to protect those who are important to him – his valued companions. I find it a common shounen plot, and yet, I can’t help but feel inspired by it. Indeed, there is greater strength in protecting. I also liked the part where he mentioned that he did not choose his companions by strength. Indeed, Luffy chooses his companions simply by reason that he likes them. And, in the spirit of continuous improvement (Kaizen? 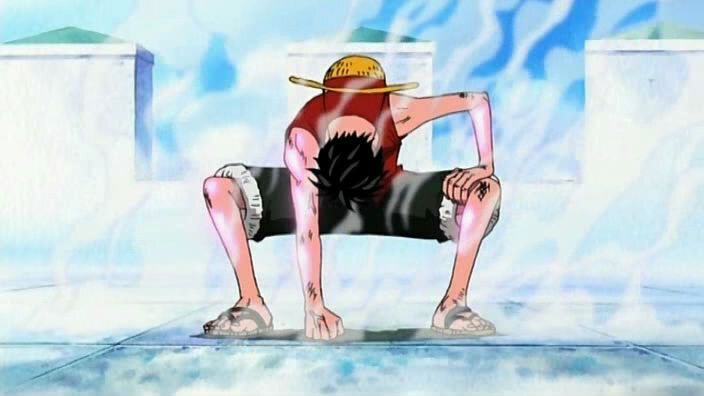 ), Luffy powered up. 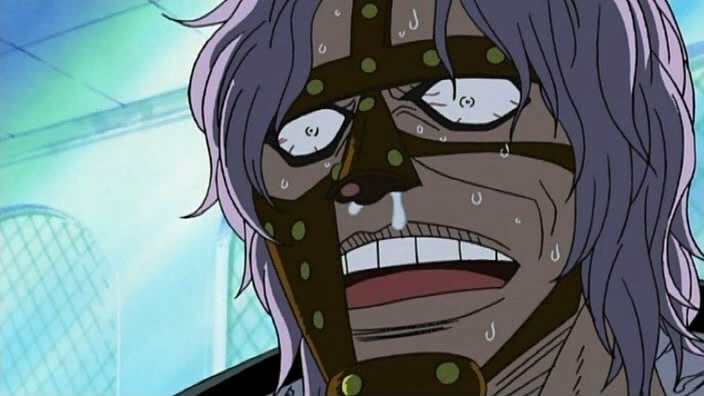 While Paramecia Fruit users are not as powerful as Logia or Zoan – specially in fighting skills, then can improve by training, and making use of the special ability that their fruit gave them. Luffy managed to obtain this by his Gear second. Luffy did not go all emotional on his continuing defeat. He learned, and desired to be stronger. I guess that is another trait I like about Luffy. He is happy-go-lucky most of the time, but dependable when the time comes. Thanks to CP9, he was able to get new attack ideas, building on the concept of the Rokushiki techniques. All of these, fueled by the desire to protect his comrades. And to end this post, here’s a picture of Spandam shocked of the news that pirates are rampaging through the judiciary island. Enjoy. Posted in review.Tagged anime, cp9, friends, gear, gear second, luffy, one piece, shocked, shounen, spandam.